The Veterans Of Foreign Wars posts number in the thousands. Scattered all over North America, they operate by their own rules, exclusive of local governments. You can drink alcohol at a VFW regardless of whether the local municipality allows it, and you can smoke tobacco at a VFW, regardless of whether the local municipality forbids it. 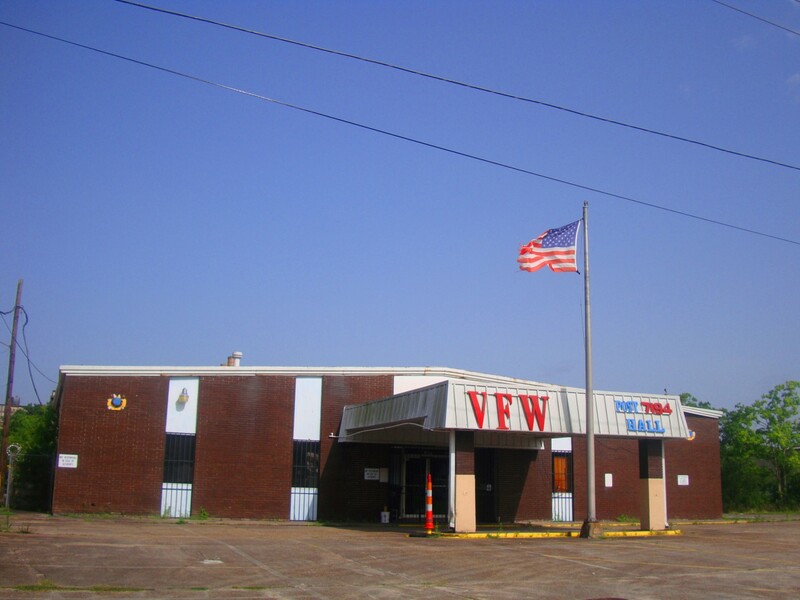 Growing up in rural, dry, Kentucky, the local VFW was the only place in town where you could walk in and order a cold beer and not have to worry about going to jail. I’ve never ventured inside the Chalmette VFW 7194 but I imagine a good time can be had in there. At other VFWs around the US that I’ve visited I’ve found the men inside to be a friendly lot. Expect lots of talk of firearms, sports, smoked meat and old military battles. There are certainly worse ways to spend an afternoon. This entry was posted in Louisiana Daily Photo and tagged chalmette louisiana, vfw 7194. Bookmark the permalink.